Applies only to the Premium version of the plugin, release 1.3.5 or higher. 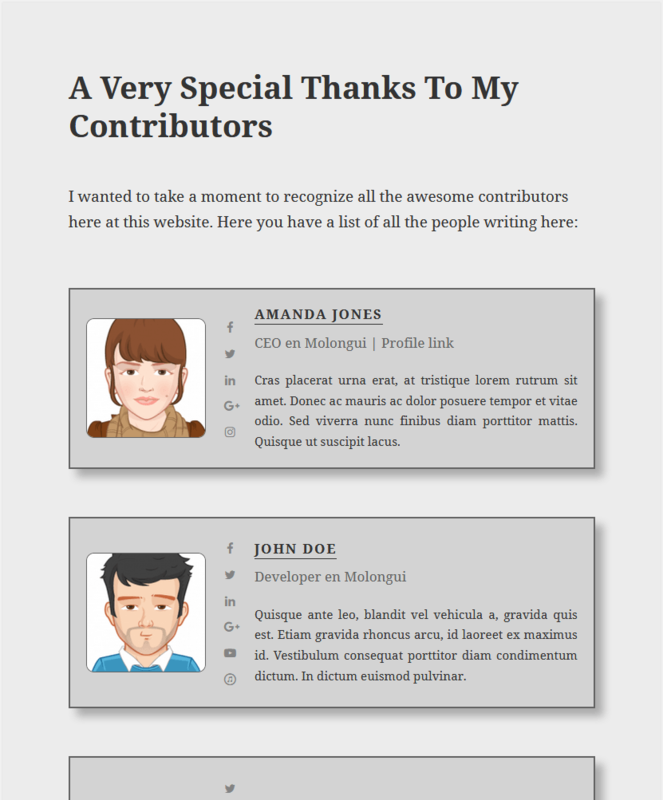 Would you like to display a list with all the authors of your blog? May be just list guest authors? 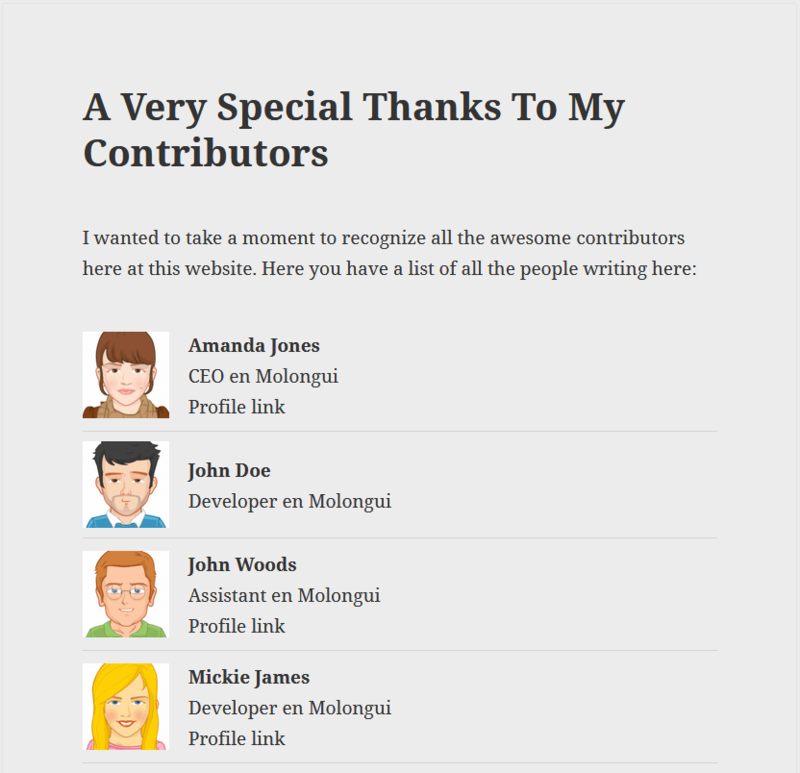 Molongui Authorship Premium allows you to display an authors list anywhere you like thanks to the use of a shortcode. Check out this doc to know how to use that shortcode.